A veterinary surgeon is among three drivers caught drink-driving in Mid Sussex over the Christmas period. Duncan Gipson, 45, a veterinary surgeon, of Henfield Road, Cowfold, was arrested in Stonefield Way, Burgess Hill, on December 17, and charged with driving with 106mcg of alcohol per 100ml of breath in his system, police said. At Crawley Magistrates’ Court on January 4, he was disqualified from driving for 36 months and sentenced to a 12-month community order, requiring him to carry out 150 hours of unpaid work. He was also ordered to pay £85 costs and a £85 victim surcharge, police said. Elizabeth Collins, 32, unemployed, of no fixed address, was arrested in London Road, Burgess Hill, on December 20, and charged with driving with failing to provide a specimen of blood for analysis when suspected of having driven a vehicle and driving with no licence, police said. At Crawley Magistrates’ Court on January 9, she was disqualified from driving for 12 months and sentenced to a 12-month community order. She was also ordered to pay £85 costs and a £85 victim surcharge. Scott Dean, 43, a carpenter, of Bodiam Avenue, Brighton, was arrested in Fox Hill, Haywards Heath, on December 2, and charged with driving with 78mcg of alcohol per 100ml of breath in his system, police said. At Crawley Magistrates’ Court on January 9, he was disqualified from driving for 17 months. He was also ordered to pay a £500 fine, £85 costs and a £50 victim surcharge. 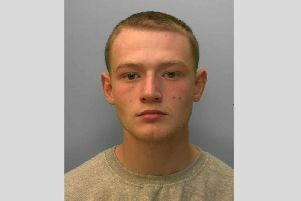 The three are among the latest people convicted as part of Sussex Police’s drink-drive crackdown over Christmas. A total of 240 arrests were made in Sussex during the festive campaign, which ran from December 1, 2018, to January 1, 2019. – Trouble travelling to countries such as the USA.